Simulating sunrise inside your room, this 100-watt equivalent bulb turns on softly and warms to its full brightness in seconds, creating a relaxing and comfortable environment. Ideal for use with table lamps or in kitchens, living rooms, and hallways, this 6500-Kelvin bulb has a daylight color. Features a Medium Screw base. Choosing Philips Energy Saver light bulbs helps reduce greenhouse gas emissions and lasts up to 13 times longer than a standard incandescent bulb. Creating an inviting atmosphere around the home, Philips T2 bulb is ideal for use in kitchens, living rooms, dining rooms, offices, family rooms, and bedrooms. Energy Star-certified with a $1.57 estimated annual energy cost. This product ships a 4-pack and comes with a 2-year warranty. 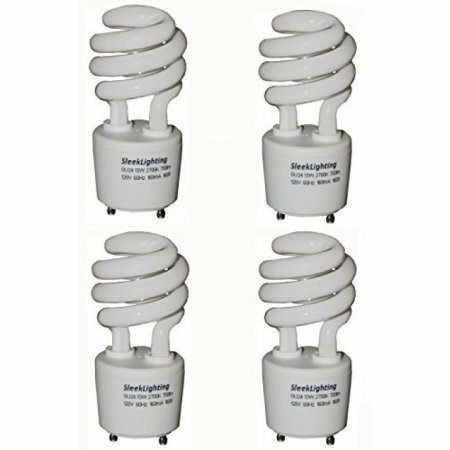 (Pack of 4) 13 Watt Mini Spiral - GU24 Base - (60W Equivalent) - CFL Light Bulb - 2700K Soft White Color. 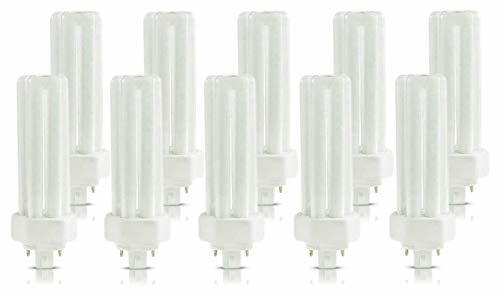 Save 70% on your monthly electric bills with these 13W Compact Fluorescent GU24 bulbs that are as bright as the traditional 60W incandescent bulbs but consumes less energy. This 27K Spiral CFL light bulb gives a crystal clear, steady glare-free, Soft White color and creates a Soft / Warm and cozy ambience. It is perfect throughout your home and can be used with your desk/table lamps, floor lamps, and open pendant fixtures. They are ideal for use in any room in your home, including kitchens, living rooms, hallways, and bedrooms. Commercial grade quality makes these a perfect choice for any application ranging from residential, retail, hotels, museums, art studios, schools, hospitals, and other commercial and industrial needs. 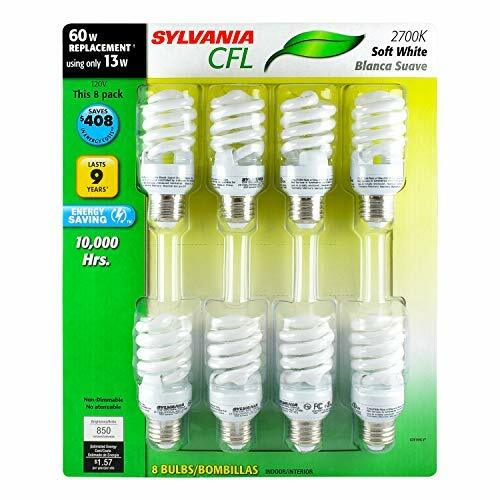 This 13W Spiral compact fluorescent bulb offers a long life compared to a regular 60-Watt incandescent bulb which makes it a maintenance free option to light your house or any lighting application. 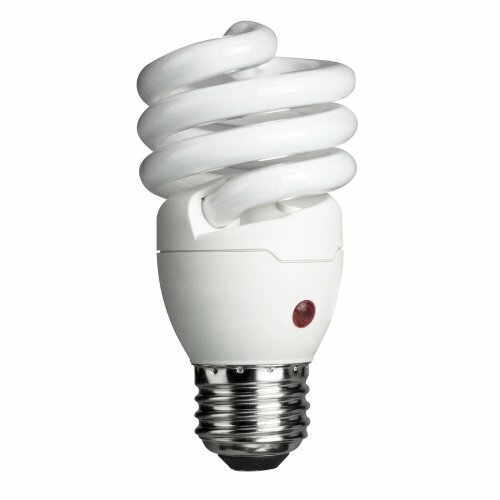 This CFL bulb is self-ballasted and has a GU24 base (also known as Twist & Lock) and will fit in any GU24 size socket. 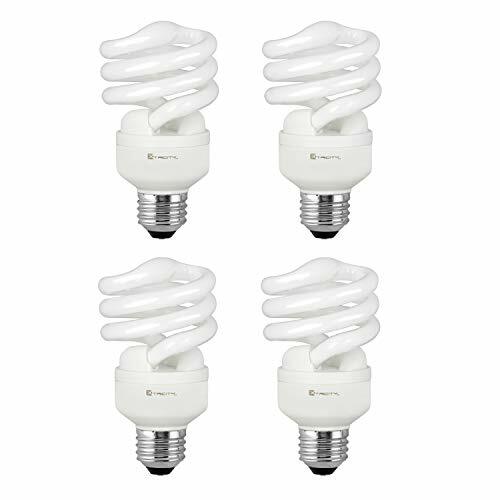  EASY INSTALLATION: These household CFL GU24 Spiral Light bulbs is a compact fluorescent / CFL spiral bulb that uses a GU24 Twist and Lock base. It perfectly into your existing GU24 socket so there is no need to change anything in your fixture. The GU24 base installs very easily and hassle free. Simply push it in and twist it.  ENERGY SAVING: Save up to 70% on your electricity bill! 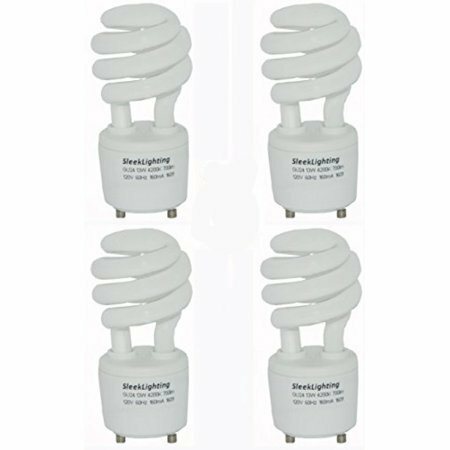 This twist Shape Compact Fluorescent GU24 bulb provides 800 Lumens while only using 13 watts of power making this an ideal replacement bulb for you twist and lock fixtures.  LIGHT UP YOUR ROOM: Ideal for use in kitchen, Living Rooms, Bedrooms, Ceiling, Office, Floor Lamps Hallways, Bathrooms, Sconces, Pendent Lighting. We carry assorted color options to create the right ambiance for your application. So be sure to select the correct color temperature of your choice.  COLOR: This 27K GU24 Bulb gives out a s white color and creates a Soft / Warm and cozy ambience. It is perfect throughout your home and can be used with your desk/table lamps, floor lamps, and open pendant fixtures.  Durability: The bulbs are rated for 10,000 hours which will reduce your maintenance and replacement cost. We stand behind our product, so if for any reason you are not satisfied with your purchase feel free to contact our customer service team and we will provide a hassle-free replacement or refund. 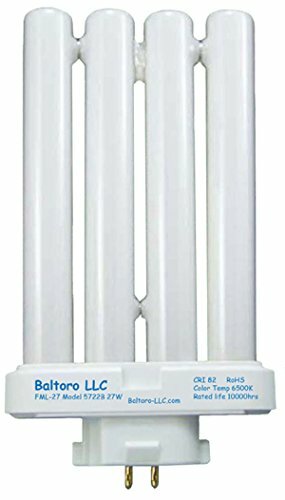 27W Baltoro Linear Quad Replacement Bulb T4 4-Pin (GX10q-4) Base FML 6,500K Double Tube Compact Fluorescent bulb for use in desk or floor lamps 1147tr and Security Fixtures models 9011, 9012, 9027 and model 9147, Baltoro LLC SL5720RS and SL5721TS, Aiko FML 27/65 desk or floor lamps, Trade mark desk and floor lamps, lavish home desk and floor lamps. Compatible with Bell and Howell. NOT Compatible with Verilux. 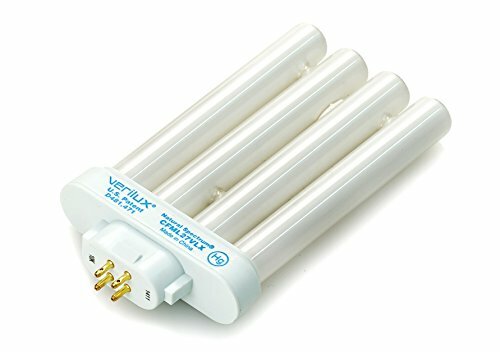 Energy Saver 27W Compact Fluorescent Bulb. Natural Daylight that is good for eyes, Great for Reading Sewing and other tasks which require bright daylight. Equivalent to 9024B / FML-27-EX-D Baltoro LLC SL5721TS and SL5720RS, SL5722B. Does NOT fit Verilux. Frustration Free Packaging. Sunlite s fluorescent circline lamps come in an assortment of diameters and color temperatures starting from 2700K all the way up to 6500K. From kitchens to utility sheds, Sunlite has the right lamp for the right setting. 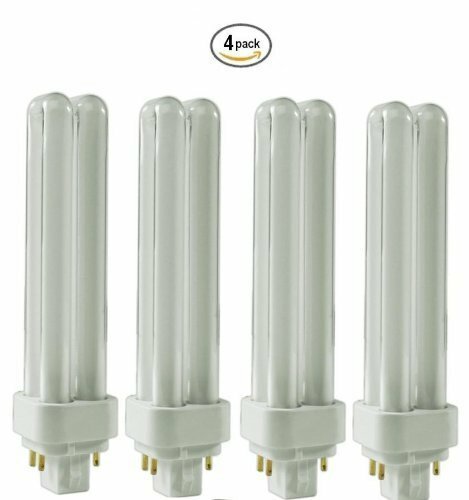 (Pack of 4) 13 Watt Mini Spiral - GU24 Base - (60W Equivalent) - CFL Light Bulb - 4100K Cool White Color. This 4100K Spiral CFL light bulb gives a crystal clear, steady glare-free, Cool White color and creates a Cool and Light ambience. It is perfect throughout your home and can be used with your desk/table lamps, floor lamps, and open pendant fixtures.  COLOR: This 4100K GU24 Bulb gives out a Cool White color and creates a Cool and cozy ambience. It is perfect throughout your home and can be used with your desk/table lamps, floor lamps, and open pendant fixtures.  LIGHT UP YOUR ROOM: Ideal for use in kitchen, Living Rooms, Bedrooms, Ceiling, Office, Floor Lamps Hallways, Bathrooms, Sconces, Pendent Lighting.  COLOR: This 2700K GU24 Bulb gives out a Warm White color and creates a warm and cozy ambience.  The bulbs are rated for 8,000 hours which will reduce your maintenance and replacement cost. OTT-LITE-Truecolor Replacement Bulb. 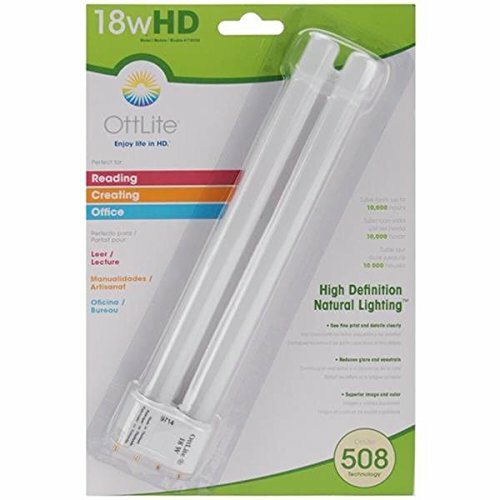 This package contains one replacement bulb for Ott-Lite's TC10016 TC10018 & TC10471. Imported. 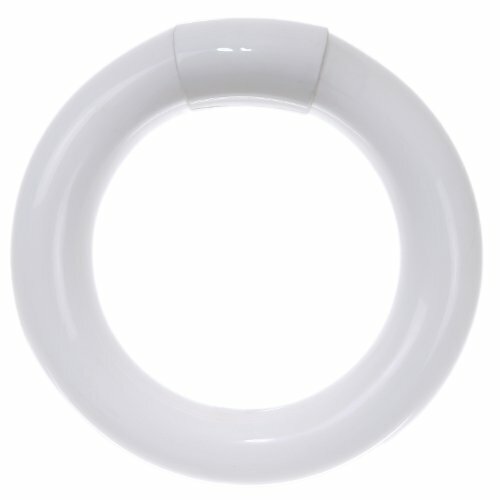 This 60-watt equivalent Energy Saver Dusk-to-Dawn Compact Fluorescent Twister features a built-in sensor automatically senses sunlight, turning the light on at night and off in the morning for you. Designed for use in open, outdoor fixtures, this 2700-Kelvin bulb illuminates with a clear, bright, soft white glow. Features a Medium Base CFL base. Replaces 60-watt incandescent A19 bulbs, and offers a lifespan of at least seven years. Versatile for multiple applications, this bulb has a classic design, and is ideal for use in enclosed post light fixtures. This energy-saving bulb lasts up to 13 times longer than a standard incandescent bulb. This product ships as a single bulb and comes with a 2-year warranty. The 14-watt Philips Energy Saver Dusk to Dawn Twister compact fluorescent automatic post light bulb has a soft white light, similar to incandescent light, with a built-in photo sensor to turn the light on at dusk and off at dawn. This 14-watt Dusk to Dawn post light bulb replaces your current 60-watt incandescent A19 and lasts at least 7 years. Philips Energy Saver Compact Fluorescent household light bulbs can be used in enclosed post light fixtures. 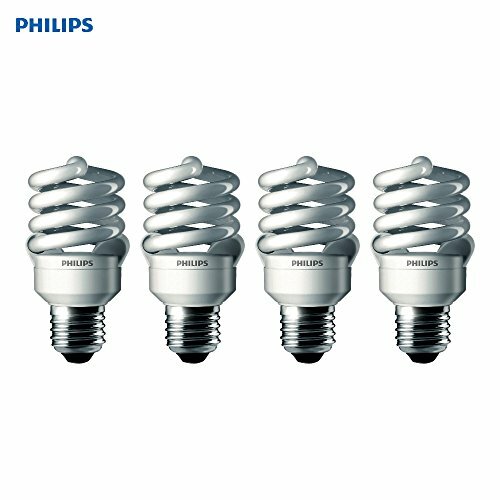 Energy Efficient: Replaces a 60W incandescent light bulb Philips Energy Saving compact fluorescent light bulbs have terrific energy savings and extra-long life. They are a direct replacement for incandescent bulbs and use up to 70 percent less energy. Going Green Never Looked So Good Philips Energy Saver compact fluorescents (CFLs) have terrific energy savings and extra-long life. By choosing Philips Energy Saver light bulbs you will help reduce greenhouse gas emissions and keep more money in your wallet. They are a direct replacement for incandescent bulbs and provide the soft white light you are accustomed to. These bulbs last up to 13 times longer and use significantly less energy than a standard incandescent. Energy Savings That Lasts Philips EnergySaver compact fluorescent bulbs can help reduce your electricity bill and save energy, while helping you create a relaxing, inviting atmosphere. From table lamps and recessed lighting to decorative fixtures, compact fluorescents are available in the shapes and sizes you are accustomed to. 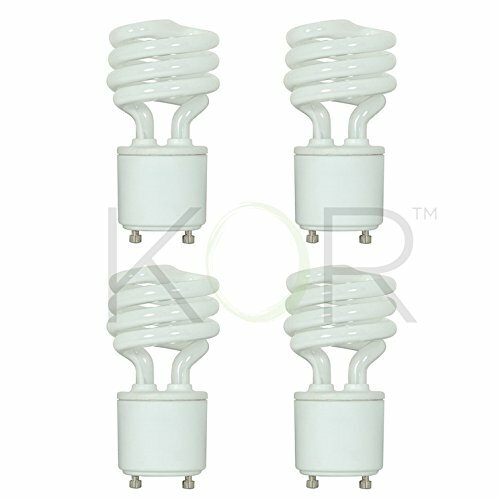 CFLs operate on low wattage and last a long time, and can be used as direct replacements for higher wattage incandsecents. 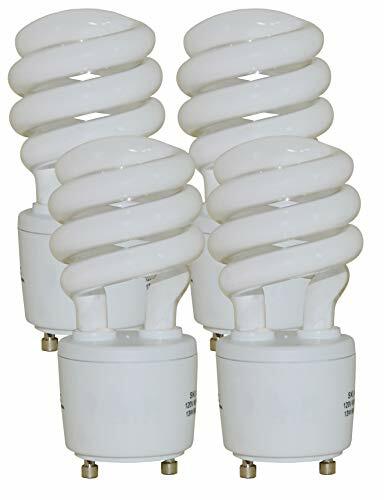 All Compact Fluorescent bulbs contain mercury; therefore you should be sure to properly recycle these bulbs in accordance with applicable laws and regulations. Comfortable, Soft Light to Complete a Room Philips EnergySaver compact fluorescent bulbs help you create the perfect lighting for your home. 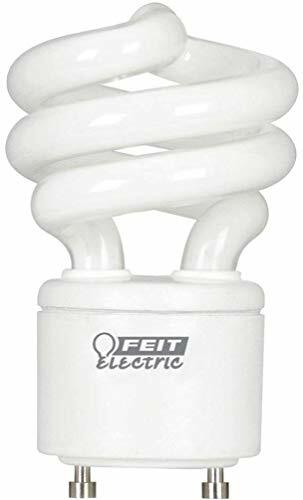 Fluorescent 2 to 7 years 1 Yes 3 No Soft White, Neutral, Cool White, Natural Light, Daylight Deluxe Compact Fluorescent 7 to 11 years 1 Yes 3 Yes 4 Soft White, Daylight Deluxe LED 18+ years 2 Yes 3 Yes 4 Soft White, Bright White, Daylight 1. Life based on average usage of 3 hours per day, 7 days per week. 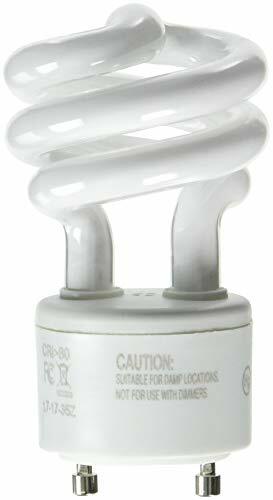 ENERGY EFFICIENT: Philips Compact Fluorescent A19 Soft White Light Bulbs last 13X longer than 60 Watt Incandescent Bulbs while maintaining the look and feel of a classic light bulb. SOFT WHITE: Philips A19 light bulbs offer warm and comfortable lighting with high CRI (color rendering index). At 2700 Kelvin the bulbs deliver bright, crisp color ideal for use in enclosed post light fixtures. DUSK TO DAWN: Philips Compact Fluorescent A19 Light Bulbs are equipped with a built in light sensor that turns your light bulbs on automatically when the sun goes down and turns the light off when the sun rises. ECO FRIENDLY: Mercury free and lasts 13x longer than a standard incandescent bulbs. COMPATIBILITY: These Philips LED light bulbs fit in medium CFL bases. Not compatible with Philips HUE products. Philips Energy Saver Compact Fluorescent A19 Light Bulbs are for non connected use only. Simulating sunrise inside your room, this 60-watt equivalent bulb turns on softly and warms to its full brightness in seconds, creating a relaxing and comfortable environment. Ideal for use with table lamps or in kitchens, living rooms, and hallways, this 6500-Kelvin bulb has a daylight color. Features a Medium Screw base. Choosing Philips Energy Saver light bulbs helps reduce greenhouse gas emissions and lasts up to 13 times longer than a standard incandescent bulb. Creating an inviting atmosphere around the home, Philips T2 bulb is ideal for use in kitchens, living rooms, dining rooms, offices, family rooms, and bedrooms. Energy Star-certified with a $1.57 estimated annual energy cost. This product ships a 4-pack and comes with a 2-year warranty. Replacement Bulb for Panasonic Fans FDS18E35/4. For Panasonic WhisperLite Fans - FV-08VQL4, FV-11VQL4, FV-15VQL4, FV-11VHL1, FV-08VKL1, FV-08VKSL1, FV-08VKML1, FV-05VFL2, FV-08VFL2, FV-11VFL2, FV-08VLS1NOTE: Base Type: G24q-2. Wattage: 18 WattLife Hours (Avg): 10,000 Color Temperature (Kelvin): 3500K, They are 100% identical in performance as the original. These Xtricity Compact Fluorescent Light Bulbs provide a beautiful and bright light while saving you time and money. 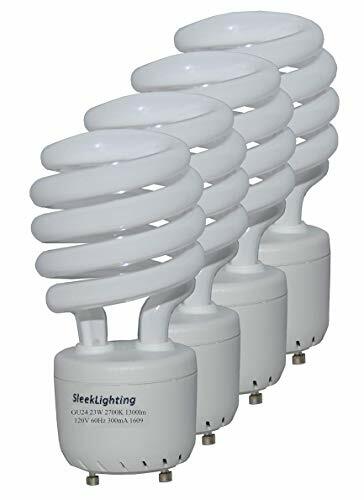 Lasting up to 9.1 years (based on a use of 3 hours per day), these energy efficient CFLs will reduce the frequency of changing bulbs and cut costs on your energy bill. The compact design fits most locations in your home which makes it the perfect solution for your general lighting needs. The bulbs are suitable for indoor and outdoor use (in weatherproof fixture) and meet energy efficiency standards such as RoHS and UL while also being FCC compliant to reduce interference. The protection of the environment and energy efficiency is communicated through all Xtricity products. We only use recycled carton paper and eco-friendly ink in our packaging. By doing so, we do our share in keeping our environment green.